Community Hub Inc has a strong committment to promoting opporunities for people to be able to access services and programs. Community Hub Inc provides a supportive environment and a strong connection to the local community, that can be of great benefit to new and existing programs and networks. 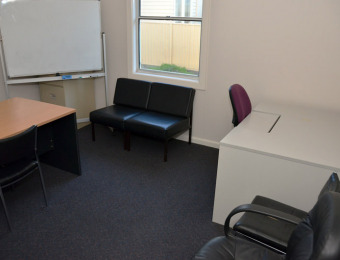 Community Hub Inc has offices available for casual and fulltime use at an affordable rate. For more information please contact Community Hub Inc reception during office hours.